A moment before launching Together’s extensive equity crowdfunding platform, we are opening a one-time window of opportunity to invest in Together, to join the fastest growing financial industry in the world, and to hold a diverse portfolio of shares in leading high-tech and real estate companies. Together holds a license from the Israel Securities Authority to serve as an “offer coordinator” and to operate apublic crowdfunding platform in Israel. We have opened a one-time window of opportunity for investors to invest in Together and become shareholders in Together, moments before we launch our extensive investment platform to the public. Together, which is managed by a professional and experienced team of the frontrunners in the high-tech, financial, and investment industries in Israel, will enable the investor public to invest in companies and ventures, and to benefit from their success through its unique and innovative equity crowdfunding platform. This is an exceptional opportunity to become a shareholders of Together itself, which in turn shall hold a portfolio of leading high-tech and real estate companies. We very often hear of the phenomenon of Israel’s Startup Nation and the considerable number of Israeli startups that have registered impressive and exceptional exits. When this happens, we all feel a deep sense of pride for Israel’s exceptional achievement, but on the other hand, who of us does not feel the regret of missing an opportunity to invest in the company at the right time? Together makes this dream a reality: it allows for investing in companies that it has meticulously identified and selected “moments before they takeoff”; these companies have already raised capital from leading and experienced investors, and also have demonstrated proven technological feasibility. Together’s crowdfunding platform turns every investor with a few thousands of shekels available into a partner and shareholder in promising ventures in the fields of high-tech and real estate. In the last year, Together put together a professional and experienced team of frontrunners from the high-tech, financial, and investments industries in Israel. Within a short period of time, the company successfullyrecruiting many senior figures in the Israeli economy. Our team members include, among others, CPA Iris Stark – the president of the Institute of Certified Public Accountants, Doron Arbeli, who served as Head of the Israel Tax Authority, together with Maj. Gen. (Res.) Uzi Moskowitz, former head of the IDF’s Cyber Communications and Defense Division. Together was recently certified by the Israel Securities Authority to serve as an offer coordinator and launch an equity crowdfunding platform in Israel. The crowdfunding platform will enable Together to raise considerable investments in the coming years for dozens and hundreds of revolutionary high-tech companies that will be significant milestones in shaping Israel’s future. Together shall become a shareholder in each one of these companies, and the implications are clear: within a short period of time, the company shall hold an impressive portfolio that includes the leading companies in Israel’s high-tech industry, some of which are likely to produce impressive exits. The opportunity to invest in Together itself is actually an opportunity to invest in a number of companies that it examines, selects, and believes in,enjoy the fruits of the collective success of all of the companies, and join the promising financial revolution of the world of crowdfunding. Together was established with the objective of making phenomenal success of Israel’s high-tech industry accessible to the general public, which until recently was reserved only fora limited and exclusive community. The companies that Together recommends to investors are meticulously selected by a professional team. They need to demonstrate a high level of innovation and feasibility for the products that they develop, along with a real and substantial market for the developed products. Additionally, all of the ventures that the company selects have already raised substantial capital, meaning that they have leading investors that believe in the company and its potential to experience a breakthrough – therefore, the investors introduced by Together “invests alongside leading investors”, benefit from the same price of the leading investor, but also benefit from a higher degree of stability and security. Together’s crowdfunding platform offers the investor public the opportunity to invest in selected ventures, some of which shall become success stories. Anyone shall be able to invest in companies and ventures in which they believe in and join the success of the high-tech industry as a shareholder. During recent years, we have witnessedthe equity crowdfunding revolution (investment in exchange for shares in the companies raising capital), which has occurred mostly in prominentwestern states including Europe and the United States, which in 2016 attained the important milestone of legislating the Jobs Act which regulates equity crowdfunding. The global equity crowdfunding market has seen phenomenal growth in recent years amounting to hundreds of percent; this market has boasted funding of hundreds of millions of dollars in leading western countries, and projections for the global market estimate this figure to increase to billions of dollars in the upcoming years. Recently, Israel has also joined the global equity crowdfunding revolution with enactment of the Offer Coordinator Regulations at the beginning of 2018, which allow investors to invest in leading companies and ventures at a cost which is reasonable and efficient. The equity crowdfunding revolution is the most significant financial revolution in the investment world today! Capital investment in high-tech ventures was until recently reserved only for a most limited and exclusive group of VC funds and Angels. Equity crowdfunding has gained considerable speed in recent years in light of economic and technological advancement, a macroeconomic climate of low interest rates in the western world, and legislative amendments in many states. This creates a considerable breakthrough with respect to the real democratization of public investment in consideration for the allocation of shares in the invested companies. Research shows phenomenal growth in equity crowdfunding investment compared to a continual decline with respect to VC and Angelinvestments. In the graph that shows the curve for financing in high-tech companies through VC and private equity funds (published by Crowdfund Insider magazine), it is easy to see the changing trends in recent years in the UK (a similar trend can be seen in other leading western countries). The graph shows permanent exponential growth of equity crowdfunding alongside a declining in VC and private equity financing. In the last decade we’ve all repeatedly seen exciting and recurring headlines announcing the phenomenal success of the Startup Nation and Israeli companies recording impressive exits. Every year the Israeli high-tech industry creates many new millionaires, some more known than others. Until recently, the success of the Israeli high-tech industry was reserved for an exclusive community made up mostly of VCs and a short list of Angels. Together changes this reality and joins the revolution, working both with investors and ventures by opening an important channel for public investment in this important industry. Together was established with the goal of granting everyone access to the phenomenal success of Israel’s high-tech industry, which was until recently reserved for an exclusive and limited community! With respect to crowd investors, the revelationof equity crowdfunding constitutes a major breakthrough for the real democratization of public investing in consideration for allocation of shares in the invested companies, which was reserved until recently to a limited and exclusive community. The significance is that everyone, just like the big investors, is able to decide to invest their available funds, within the legal limitations, and receive shares in the invested companies in a simple and efficient way. With respect to entrepreneurs and companies, this truly is a revolution. Despite the fact that high-tech is crown jewel of Israel’s economy, until recently many high-tech ventures and companies found it difficult to finance their activities. The revelation of equity crowdfunding changes the rules of the game,ventures and startup companies may raise considerable amounts, in consideration for allocating shares or debentures in the company in an efficient and cost-effective way. The source of Together’s revenues are primarily cash and equity commissions (holding securities of companies that campaign through the Together platform). The amount of the commission varies according to the characteristics of the company, the type and scope of financing. Every company or venture that campaigns through the Together platform issues securities to Together. The rate of equity commission changes from company to company according to its situation. A cash commission is paid by the invested company or venture for every financing transaction completed through the Together platform. The rate of cash commission changes from company to company according to its situation. The revenues from cash commissions allow Together to achieve operating and cash flow profitability. The revenues from the equity commissions (holding securities of the campaigning companies) allows Together to hold securities in an impressive portfolio including leading companies in the Israeli high-tech industry, some of which are likely to have impressive exits. 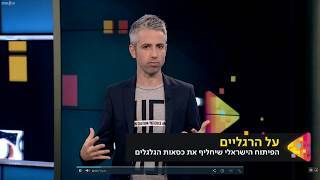 Together’sobjective is to lead the equity crowdfunding market in Israel, through its unique equity crowdfunding investment platform which has been approved by the Israel Securities Authority. In order to achieve this objective it is necessary to allocate considerable human resources and capital, among other things. The main expenses of the platform are varying expenses for the marketing of the platform as a function of revenues. Most of the proceeds will be used for these expenses including advertising, marketing, and sales and building cooperation with leading players in the economy. By investing today in Together you are joining the most significant financial revolution currently taking place in the world of investments! We invite you to invest in Together, join us, and become partners in shaping the world’s most growing financial sector. Iris serves as the Vice President of the Institute of Certified Public Accountants and also holds office as a senior director in the leading Israeli companies. Elad is an expert in strategizing, analysis, marketing and in regulation of online trading and the capital markets. Elad is a seasoned executive in the financial products sector and has a proven track record of raising campaigns for companies both in the Israeli and international markets. 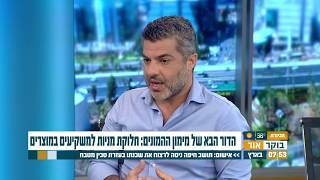 Elad is also an economic commentator on a number of national financial news programs. Elad holds a bachelor’s degree in business administration and a master’s degree in finance and banking. Doron is a senior expert in finance, technology and international trade. Served as Director General of the Postal Authority, Director of the Tax Authority and as the Director of the Customs Authority. In his past, he served as a senior officer in the Intelligence branch. Doron currently serves as a senior consultant to leading companies, including hi-tech companies in the areas of finance, regulation and international trade. Maj. Gen. (res.) Uzi Moskowitz, former head of the IDF’s Cyber Communications and Defense Division. Uzi was responsible for the following fields: ICT architecture, communications, software, computer centers, cipher, spectrum and cyber protection. Uzi holds a B.A. in Aeronautical Engineering and a M.Sc. in business administration and Strategy. Uzi is a renowned expert in technologies in the field of IOT and cyber. Prof. Raanani is the Director of the Leviev Cardiovascular & Thoracic Center in the Sheba Medical Center, Tel Hashomer, Israel since 2016. In 2010 he was appointed Associated Professor of Surgery in the Sackler Faculty of Medicine, Tel-Aviv University. He served as Chairman of the Board of the Israel Society for Cardiothoracic Surgery (2005-2008) and is an active board member of the American Association for Thoracic Surgery (AATS) and the International Society for Minimally Invasive Cardiothoracic Surgery as well as the Society of Heart Valve Disease. Prof Raanani has mentored several doctoral and MSc students, has published over 150 papers in prestigious peer-reviewed international journals for cardiac surgery and cardiology, as well as chapters in books, and is the PI for numerous clinical and basic-science studies. Prof Raanani is also an active member on several Scientific Advisory Boards of start-up companies in the field of cardiothoracic medical devices. Doron brings with him many years of experience in management, especially in the high-tech and finance industry in Israel. He served as a senior manager and as a director in leading hi-tech companies, including Microsoft, MSN, Maayan Ventures, Tapuz and others. Doron is the Chairman and Founder of Volvo Digital and Chairman of the Hall Center in the US. As an international guide and strategic entrepreneur in the field of personal growth, Doron brought to Israel many of the world’s leading mentors. Doron holds a BA in Economics and an MBA.